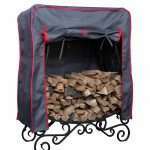 Keep your wood dry year round with our premium covers for your Firewood Stand. Great product, great people to deal with! I got my Tandoor Khan within 4 weeks of ordering; it was packaged properly. People at this company are available to respond to your inquiries, emails are answered within hours! I cooked whole chicken and ribs, the taste was amazing; I cannot wait to try naan, and roast lamb! Highly recommend this product! Thanks!! So far very happy with the experience. I bought demo nomad tandoor as I wasn’t sure about the built of this tandoor. Well it turned out to be very well made tandoor with the luxury look and the food cooked in it was amazing full of charcoal flavour. I m now going to buy a larger tandoor for bigger backyard parties, just placed the order for tandoor alladin, got an awesome deal online with free delivery. Waiting on the delivery now.. Thanks to the whole team of luxury tandoor on creating such an awesome product.. This 2 litre Ceramic Pot is perfect for cooking any soups or stews inside your tandoor. Use the fork to place the pot directly on top of the ash grate and again to retrieve it. The 2 Litre Ceramic Pot will fit inside all of our tandoors. Note: Handle not supplied, however can be purchased at any local hardware store in the form of a wooden or metal dowel. Cast iron is best for cooking. It accumulates and releases heat over a long period of time. Environmentally friendly. This special feature allows it to cook the most intense and delicious food. Cast material is considered safe with respect to human body. Cast iron cookware is durable, not afraid of overheating and mechanical damage. Price is for one single grill in desired size. This is the perfect tool for cooking up some steaks, chicken breasts, salmon filets or vegetables. Use this rack in combination with our Large sized baking stones for the added ability to cook up to 3 pizzas simultaneously! This rack is intended for use in the Ataman, Saka, Aladdin and Oriental. 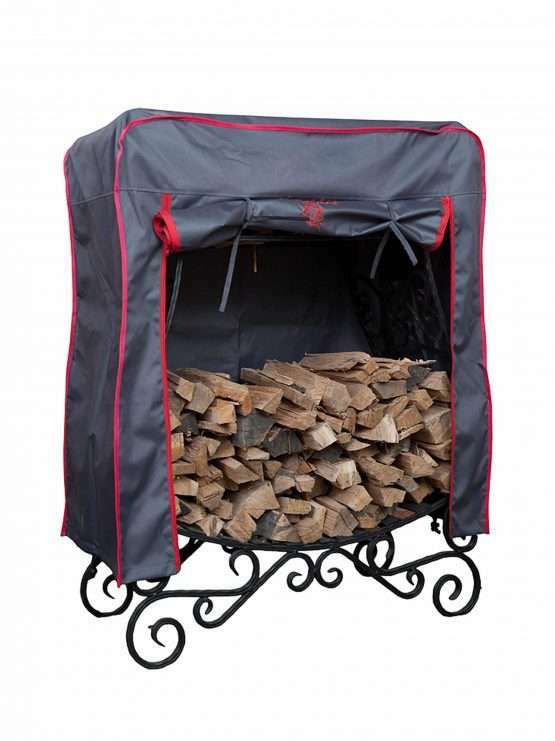 The Cauldron Support is perfect for harnessing the heat from your tandoor as it is heating up. Use pots, pans, a wok, or any other cooking device you can rest on top. Use the base to raise your tandoor off of the ground. Perfect for increasing the height of your tandoor to suit taller individuals and simultaneously adding elegance. The base also makes it easier to remove ash and coals from inside the tandoor when you’re done cooking. Available for all tandoors that do not already come with a base. This is the perfect tool for cooking up some steaks, chicken breasts, salmon filets or vegetables. You can also use this for a tall item like a roast. Use this rack in combination with our medium baking stone to cook a pizza or loaf of bread. This rack is intended for use in Khan, Ataman, Saka, Chief, Hunter, Antique and Aladdin Mini. Unleash your creative skills with one of our most popular tandoor tools. The tandoor meat hook is perfect for cooking large pieces of meat such as a leg of lamb, whole chicken or even a turkey. This double skewer is perfect for items that don’t hold well on our regular skewers like chicken, shrimp or certain vegetables. The double skewer measures 18" or 45.5 cm from tip to tip, and 16" or 40.5 cm from hook to tip. Please note: this skewer will not fit in the Chief, Hunter or Nomad. This is the perfect tool for cooking up some steaks, chicken breasts, salmon filets or vegetables. This rack is intended for use in the Nomad only. This is the perfect tool for cooking up some steaks, chicken breasts, salmon filets or vegetables. Use this rack in combination with our large baking stone to cook a pizza, or in combination with our chicken roasting stand to cook a whole chicken. This rack is intended for use in the Ataman, Saka, Aladdin and Oriental. I have always dreamt of owning a tandoori but living in a small floating home and having limited space it was not to be. One day when I was browsing Facebook I saw an add for Luxury Tandoors, I knew immediately I wanted one of these very attractive ovens. I contacted Aleksey and arranged a viewing and he assisted me with choosing the model and tools that suited my needs. Aleksey personally delivered, unpacked and set the tandoori on the boat deck of my floating home. My first cooking experience was for a party of about 50 people, no pressure at all. The oven works as advertised and the food is outstanding! Made stuffed naan last weekend and it was as good as any that I have experienced during my travels in India. The whole purchase, service and the oven are outstanding, don't delay order one today. Must fly as need to chop wood for tomorrow's tandoori treats: Lamb stuffed Naan. Namaste. Great product, very fast shipping, and packaged properly, which is important for a product made of clay. All the accessories and the tandoor itself are an amazing quality. We had it for 3 days and clocked everyday. Everything cooked in it, tastes amazing. Thank you for the great product quality and service. I would like to point out the quick response to all our questions. I'm strongly recommending their tandoors to every one!!! I tried to cook a couple times.... and now I love it. Every occasions me and my guests are enjoining!!!!! Thank you for the such practical products!!! I just received my new tandoor from Luxury Tandoors last week, and it is beautiful. Even as a decorative piece alone it compliments my backyard with it's very elegant design. The quality and craftmanship are top-notch. I was eager to fire it up this past weekend with a party of 20. The oven fired up impressively and without any problems. Once it was ready, we cooked chicken, beef, & vegetables all to delicious perfection. All my guests were impressed and I can happily say I am very happy with my new Luxury Tandoor purchase. Aleksey was very helpful assisting me in choosing the right model for me and scheduling a convenient delivery. 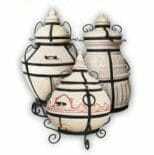 I discovered Luxury Tandoors on the internet and I must say I was delighted to find they had a distributor in the US so I didn't have to deal with overseas shipping costs and custom fees and headaches. That sealed the deal for me. I would strongly recommend Luxury Tandoors to anyone even thinking of possibly purchasing a tandoor for their home. I've always wanted to make tandoori chicken and naan in a tandoor and when I saw these beautiful tandoors, I knew I had to have one. If you're expecting the ease of firing up a gas BBQ then this is probably not for you. Cooking with wood or charcoal definitely takes time and your attention. In my opinion, the flavour that is imparted from using wood is well worth the time and effort. It's taken a few tries to get the high temperatures of a traditional tandoor but after adding enough fuel I think I've mastered it. The staff at luxury tandoor were very helpful in answering any questions that I had. Love this tandoor! Boy has the summer gone by fast and my back yard grilling has taken a whole new twisted cooking on my Tandoor. I have made Naan Bread ,Pizza cooked whole roast and kabobs. every week I am coming up with new ways to use my Tandoor. Not only is this cooker pretty it is very versatile with the possibilities of what I can cook in it endless. Thank Mo for getting me started. Have have had tandoor Khan for more than a year now. Using it at least once a week (weather permitting). Even took it onto a camping trip! (got a hand-truck and a ramp and it fits nicely into my van). Anyways - I do recommend this product. Heavy duty and hold heat for good while. I am the meats guy so do only kebabs on it and my wife does round Asian breads on it too. From the first moment we began corresponding with the Luxury Tandoors company we was impressed. This was a large purchase of an item we had never used before so we were a bit nervous. They answered all questions promptly and also contacted us by phone to make sure all of our questions and concerns were covered. We cannot say enough about the customer service we received. That customer service continued after the sale and this impressed us. We were nervous about it being shipped. We were nervous about it arriving and not being able to move it from our driveway. We were nervous about our first cooking experience. We were just nervous. Period. All fears we realize now were unfounded as we had no issues at all in shipping, or receiving it and moving it to its resting spot, nor with cooking in it. It is very straight forward. Questions about procedures and ideas of what to cook were met with recipes, suggestions and step by step instructions from Mo and his team. We have placed our big beautiful Tandoor right in our courtyard for everyone to see and it has become the focal point of our entertaining. We place our chairs all around it as it fires up and what comes out is impressive and gives your guests (and yourselves) an experience in taste you have never had before. You can make anything from pizza to salmon to traditional skewers of luscious kabobs in these things. We love our new Tandoor and wondered why we waited so long to get one. Amazing! Thank you Mo for introducing us to a new experience that will bring us many new culinary adventures. We bought the Tandoor from Luxury Tandoors this summer. I had researched enough and right from the beginning, I was struck by the professionalism and dedication of Mo. The tandoor has been a major asset to our culinary lives since then. We have been able to make everything from traditional paneer tikka all the way to wood smoked pizza: eggplant, roasted veggies, baba ganoush, daal, and biryani. We are a Gujarati-Indian family and we could also make matla undhiyu. Mo has been extremely polite, informative and helpful in every step of the process from buying to instructing us how to make the most of the tandoor. I would highly recommend buying this tandoor if you like spending happy time with your friends and family. 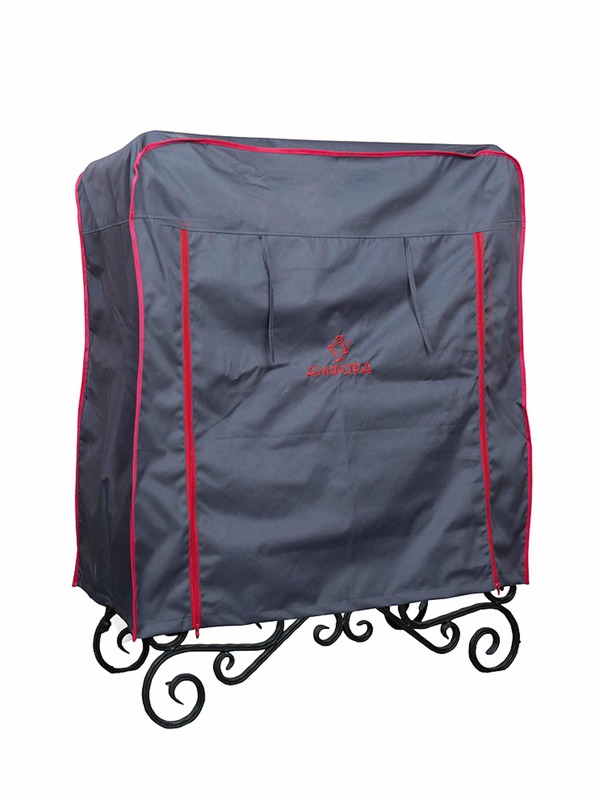 Most popular Tandoors are back in stock!